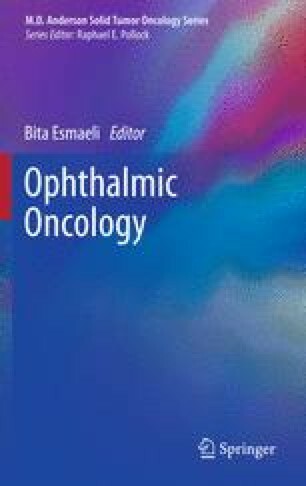 Secondary orbital tumors are those that extend into the orbit from contiguous structures, such as the globe, eyelids, lacrimal sac, bone, sinuses, nasopharynx, and brain. They account for approximately one-quarter of orbital neoplasia. A computed tomography or magnetic resonance imaging scan is used to investigate suspicious lesions, and biopsy is typically undertaken to establish a tissue diagnosis and help construct a treatment plan. Prognosis is often poor owing to significant extension of the tumor at presentation.